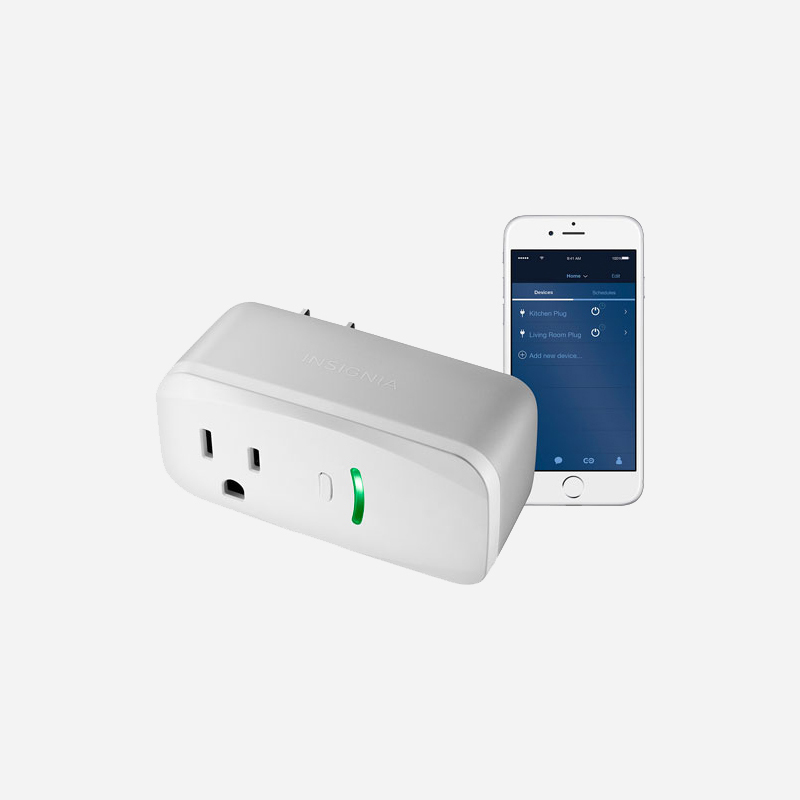 Smart outlets and switches make it easy to automate almost any appliance or light source. Smart dimmers, switches, and plugs add remote control to the connected lamps, fans, or other electrical devices. Turn electronics and lights on or off from anywhere with your smartphone using the app or voice control. Smart outlets and switches work with voice assistants such as Apple Siri, Google Assistant or Amazon Alexa. Certain apps also allow you to create automations, set timers and schedules, monitor power consumption, and dim the lighting. A compact, remotely controlled plug with an integrated power meter that doesn’t block the second outlet. HomeKit, Alexa and Google Assistant compatible. A 1500W smart plug with built-in dimmable ring nightlight. HomeKit, Alexa and Google Assistant compatible. Includes energy monitoring. 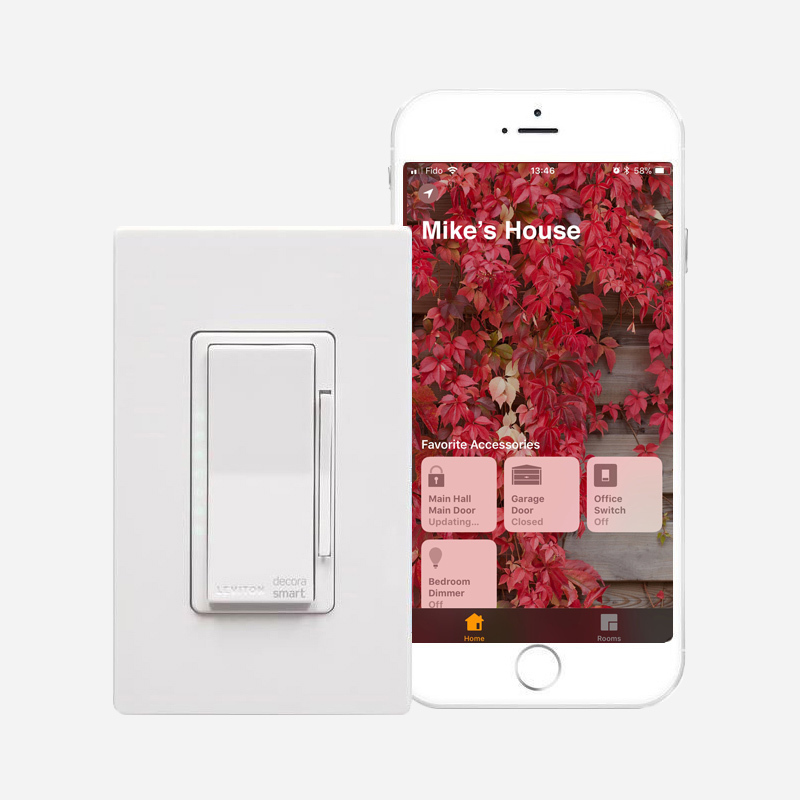 A smart 600W wall mounted switch with dimmer and a HomeKit technology. Features a brightness level indicator on the left side. 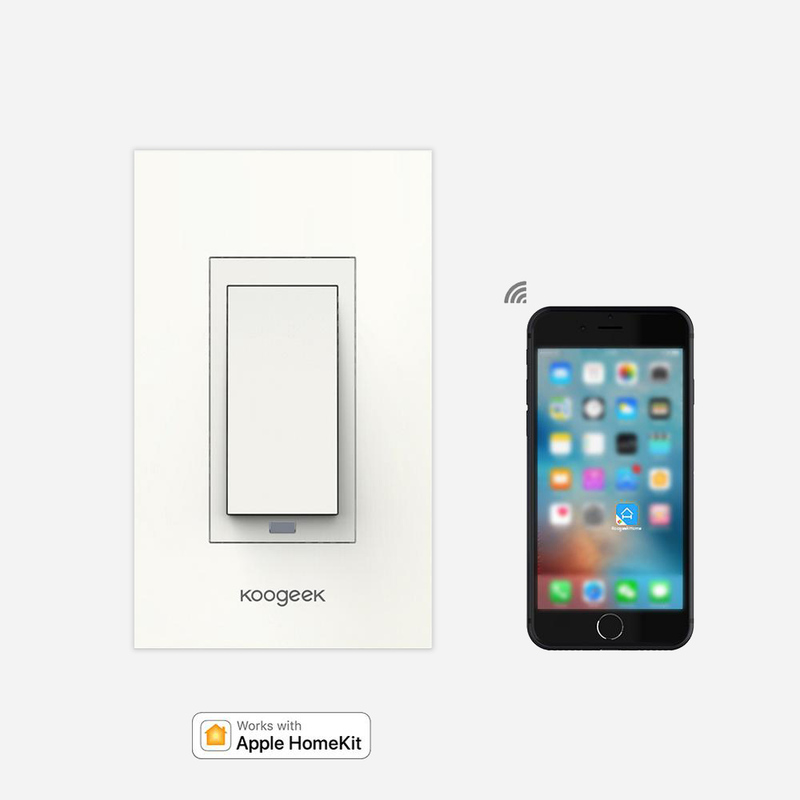 High quality HomeKit enabled smart dimmer switch. Comes with an off-white faceplate. Ideal for replacing single pole switches.